MagLoft is all in one digital publishing solution to help you get your content published in fully branded apps to all the major app stores. MagLoft is your technical partner in digital publishing as we take care of all the technical details so you can focus on your content. We created MagLoft back in January 2014 to provide publishers with a simple to use yet effective digital publishing solution for a fraction of the price current providers are charging. We believe that everyone should be able to create publishing apps! At MagLoft we believe the publisher should remain in 100% control of branding, app code and revenue. Why would anyone want to give this away to a third party solution? 1. Fully branded magazine apps! With MagLoft, you will have your own magazine app with zero MagLoft branding and only your colors, logo's and graphics. 2. 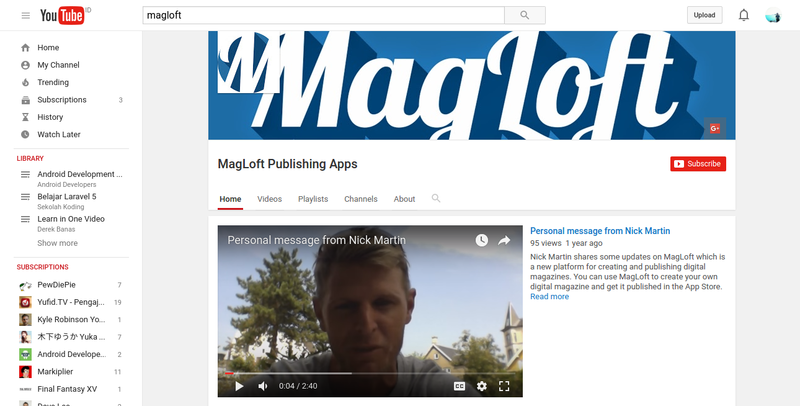 You are in complete control of your publishing apps and revenue using MagLoft. We require that you use your own app developer accounts from Apple and Google. This way you remain in 100% control of your apps. 3. We setup everything for you. Not only will we customize, build and submit your publishing apps, we will also setup store listings on both Apple App Store and Google Play Store. 4. Extremely competitive price. Inexpensive doesn’t have to equate poor quality. We are proud to be the most affordable digital publishing solutions with tons of features and apps store distribution. 5. Create responsive content! You can send us your PDF and we will convert this into a responsive HTML5 format that will look and read great on any device, screen size and orientation. You can also use our widget based drag and drop editor to create engaging and responsive content. 6. Tons of features! You get everything you will need to create and publish awesome publishing apps. From unlimited issues, downloads, pages and push notifications to dedicated support when you need it. 7. Convenient and easy to use. Using the online publishing portal is very easy and we show you step by step guides on how to prepare your issues. You can access this from any browser and do not need to install additional software. 8. Get started instantly! Simply upload your PDF or use our editor to create new issues that you can publish in your apps instantly as soon as they are live in the app stores. 9. Legendary support! We will basically bend over backwards for you and help you in any way we can to get published in app stores. Our support staff is available 8 hours daily on live chat and respond to tickets within 24 hours (usually much faster but we do need to sleep as well). Additionally you can book a 1:1 Skype with the founders to get all your questions answered here: http://book.magloft.com (remember to select your own time zone first). 10. We offer a 30 day no questions asked 100% money back guarantee! We only want to work with super satisfied clients so if there is any reason at all you don't feel like MagLoft is the perfect fit for you, just let our support know and we will refund you every penny you trusted us with. 2. App Developer Accounts. You will need an Apple Developer Account ($99/year) and a Google Play Developer Account ($25 for lifetime). This is required as we do not publish your apps in our own accounts. We want you to stay in full control of everything about your apps, and publishing through your own developer accounts will give you just that. We will of course help setup all the initial app store details. 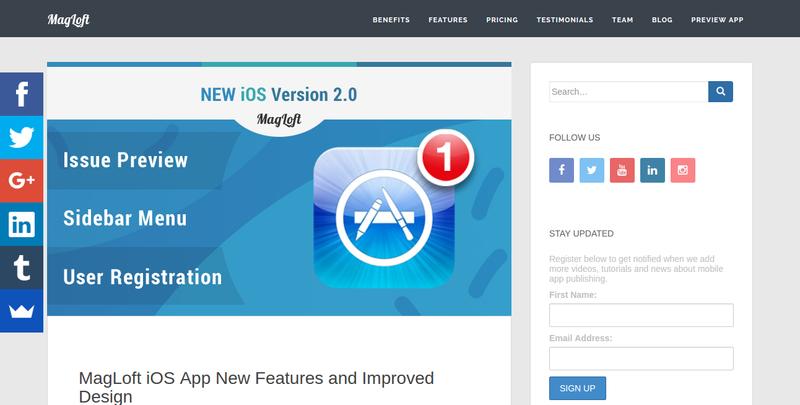 How does MagLoft's free trial work? Simple. Use MagLoft for free as long as you like! The trial is unlimited which means you can use all of MagLoft for free until you are ready to publish and go live. You can create your content, preview your issues on your own devices and get the publishing information setup for as long as you need. It's only when you want your magazine to go live in the app stores that you would have to activate your MagLoft subscription. We feel this is common sense. How do I get from Zero to Hero using MagLoft? We get asked that a lot! Publishing apps is truthfully a super complex series of tasks that need to be executed perfectly in the correct order or else you risk that the app stores reject your app! With MagLoft we eliminate that risk for you. By following our simple step by step setup you will have your publishing app submitted and live in no time! 1. Upload your pdf or use our drag and drop editor to create your content. 2. Complete our Publishing Section where you link your own Developers Account. 3. We build your app, setup your App Store listings and submit everything for review. 4. Apple take 5-14 days to review your app, but Google does it in only a few hours! 5. Once approved, your apps are live in the App Stores.